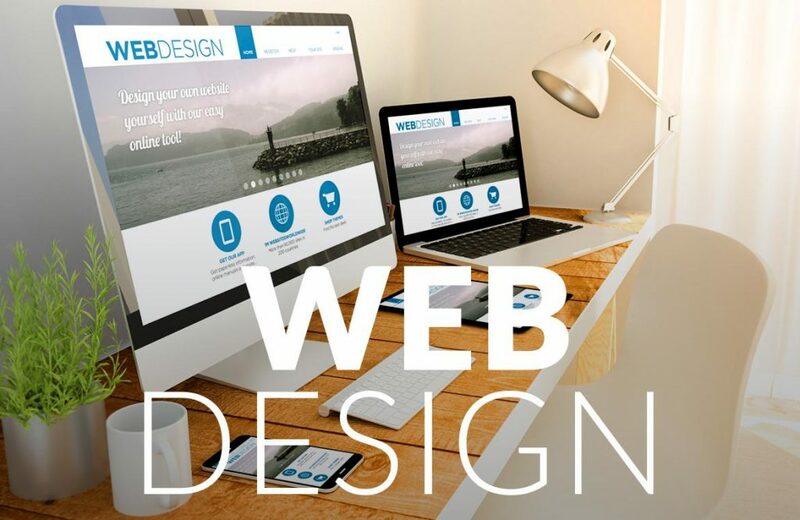 The web design industry is growing very rapidly and peak innovations are taking place. Plain and cliched designs are being replaced by unique and aesthetically pleasing web designs made. This is a result of web designers using their creative freedom. Let us take a look at the new trends that you can expect this year in web designing. Experimentation has begun with navigations as they will be the next big thing in web designing. It has to contain the perfect blend of functionality and visual appeal. Web designers are putting their creative foot forward to make navigations appear in a brand new way. A picture speaks a thousand words and this is being proved true over and over again. The web design market is going to see an increase in focus on images rather than text. This can be a powerful way to communicate a message. Websites are becoming more interactive with their backgrounds coming alive with images and graphics. This gives the impression that you’re looking at more than just a screen. Overlapping is going to be used to display connections between elements and ideas in a new way. It can be used to show connectedness in new and appealing ways. 3D illustration is an aspect of web design that will see a huge presence. The aim is to create realistic visual. 3D illustration is one of the new trends. For brands that love to be on the risky side, the web designing aspect of broken grid layouts is likely to rule. These give a brand the distinct characteristic of being bold and out there. This can help build a clear brand image. The use of fluid shapes has begun and this year you are will see an increase in the use of fluid and organic shapes. Gone are the days when only the fixed shapes were used in web designing. Existing blank space will now be used to ensure that the content is visually appealing and it does not look cluttered. White space can be powerful as it visually directs you to other elements on the page. It is a great way to draw the attention of the visitors. The web designing industry is ready to use saturated colors. This has already been explored by some websites. All thanks to the ability of our screens to display richer colors, the use of vibrant colors does make the website design stand out more. There is going to be an increase in the use of toned down fonts by brands that are rebranding themselves and displaying a sophisticated side. Brand names and logos form the identity of a brand, so there is no doubt that this year many brands are going to go from stylish fonts to simpler yet striking ones. The web design market is going to see a new trend as the cursor is going to be used as a creative medium. The territory of the cursor hasn’t been explored much and this year that is all set to change. A cursor might take up a minute space on the screen but that doesn’t stop it from making its mark. As they say, old is gold. Web designing is going to see some old designs resurface as brands bring back the feeling of nostalgia and the feeling of the ‘good old days’. Whether it is the use of classic colors or vintage style fonts, these are going to be back with a bang. Retro is always in! Vintage is always in vogue. Integrated animations have always been used to bring life to the screen. This year is going to see a rise in those as animations are going to help in creating a more interactive and engaging website. Animations will be used as a way to keep you occupied as the page loads and so on. One of the trends of web design is the absence of intense colors too. While on one hand, website designers are exploring new color combinations and using it on websites while others are using monochromatic designs that give a distinct and sleek look. As you can see, there is a lot for you to look forward to in web design. Since this list is not exhaustive there is probably a lot more exciting stuff happening in the world of web design. Experimentations are going to be in full swing and web designers are going to take a more creative approach as they will bring in new and bold designs to the digital world. These designs are going to be visually appealing and powerful. Shopify’s theme store has a huge stock of fantastic website designs one can pick from. Shopify also offers experienced marketers and web designers under Design Experts who can assist those who need help in developing their website.